It seems we have a bit more insight into what, exactly, happened between Colin Trevorrow (Jurassic World, The Book of Henry) and Lucasfilm that led to the director being unceremoniously fired from Star Wars: Episode IX. Vulture reports that the director’s alleged egotism following Jurassic World greatly contributed to his removal. The only source for this information is “a ranking Hollywood movie insider”, which is hardly bulletproof. Not to say this didn’t happen: after all, he must have been fired for a reason. However, let’s give him the benefit of the doubt until something more substantial and concrete comes along, shall we? SEE ALSO: Director Dilemma: How Does Lucasfilm Bounce Back From Its Current Crisis? Lucasfilm is coming under fire recently over the removal of directors from its slate of upcoming Star Wars films. First with Phil Lord and Chris Miller from Han Solo, and now the shakeup with Star Wars: Episode IX. What’s going on at Lucasfilm? In some ways, this all feels like a desire for creativity early on, on the part of the studio, only to have someone get cold feet high in the ranks. Sure: the guy could just be a jerk, and the failure of The Book of Henry didn’t help, but all of this swirled together makes the mind run wild. 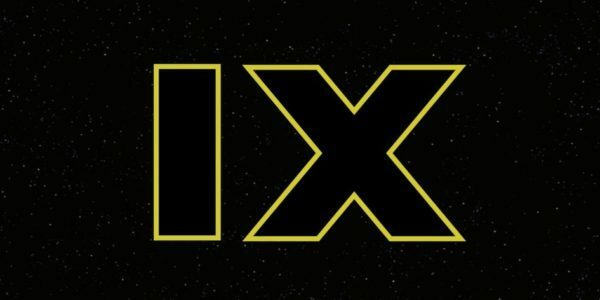 Star Wars: Episode IX is slated for release on May 24th 2019.